A number of volunteers dedicate their time to support Blackburn Rovers Community Trust, so the football club’s official charity can continue to make a positive impact in the community. To recognise Volunteers’ Week, the UK’s biggest celebration of volunteering, the Trust wants to say thank you to all of those that have or still offer their services in different ways, from coaching to photography. 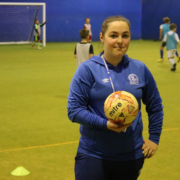 Jade Elliott, who is now a full-time member of staff at Blackburn Rovers Community Trust as NCS recruitment and graduation officer, started off as a volunteer in 2014 and has had numerous roles during her four years at Ewood Park. She said: “I started off volunteering at the Trust on the NCS programme which seems a very long time ago. I moved on to a be an NCS team leader and helped set up the graduation programme which is still growing to this day. Jade’s commitment and hard work for the Trust earned her a full-time role earlier this year as part of the NCS team, and she be one of the senior members of staff when this summer’s programme begins on Monday 16th July with a visit to Culmington Manor, Shropshire. However, her busy year doesn’t end when the summer NCS programme finishes. In September, Jade will begin her UEFA B Licence to add to her further football qualification, which have all been supported by the Trust. She continued: “I am really looking forward to it and it will be a huge challenge but a fantastic opportunity. 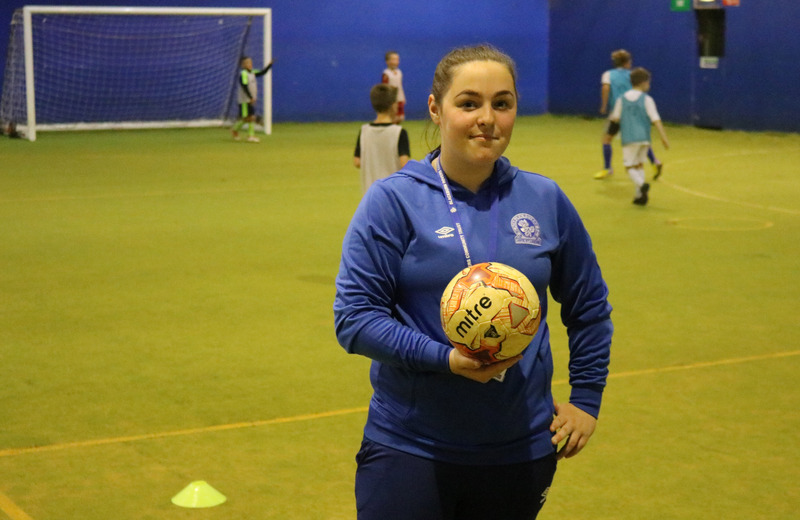 “I have completed both my FA Level One and Two when I was a student on the BTEC programme, which was all funded by Blackburn Rovers Community Trust. To find out more about how to sign up for the NCS programme this summer at Blackburn Rovers Community Trust or if you would like details on the BTEC programme please email chris.mcgrail@brfctrust.co.uk.